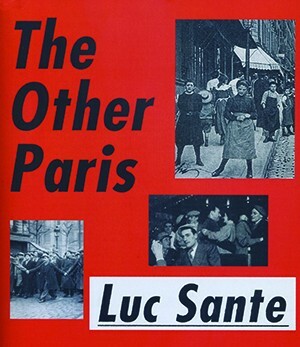 Luc Sante suggests that his new book, The Other Paris, might be seen as a catacomb, "since it contains the skulls of vast numbers of people who lived and died in Paris but wouldn't find their home there nowadays." Glimpsing into these skulls and imagining the lives of ragpickers, rope dancers, cafe divas, brothel workers, opium addicts, besotted bohemians, and flame-throwing revolutionaries, the distinguished Belgian-born historian and critic leads us through twisting ancient streets to the teeming, generally insalubrious, stomping grounds of Baudelaire, Toulouse-Lautrec, and Edith Piaf. This illuminating monograph on the city that Walter Benjamin called the "capital of the 19th century" gives privileged status to the dissolute substrate, while implicit throughout is an inextricable pairing of dizzying intoxication with pinnacles of art. As with his 1991 landmark, Low Life: The Lures and Snares of Old New York, the author's frame of interest drums home an underlying message: "The past, whatever its drawbacks, was wild. By contrast, the present is farmed." An eminent appreciator of crime and vice, Sante indicates general differences between French attitudes on disobedience and ours. Police were vigorously despised by the poor from the time of Napoleon, and the view that criminals are created by the penal system persists widely to this day. He introduces us to the literati's darling scoundrel, Pierre-Francois Lacenaire, a guillotine-bound, unrepentant memoirist who redefined the criminal calling as valid social protest. He figures in works spanning from Lautreamont's Les Chants de Maldoror to the 1945 film Children of Paradise. Readers also encounter the real Pierrot Le Fou, whose police photo shows his skeletal remains collaged onto his portrait to prove his death to the disbelieving public; while bearing no resemblance to Belmondo's Pierrot, it is one of this visually rich volume's more stunning images. 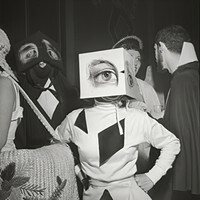 The original Pierrot was a stock character of theater, a lecherous mime in a puffy blouse who, when aggressively performed by Baptiste Deburau during the Bourbon Restoration, became a hero to the underclasses and would play an ongoing role in the collective psyche. On discomforts and privations of the past, whether the weariness of overworked Roma musicians or the squalor that spread cholera, Sante—professor of the History of Photography at Bard College—reveals a gift for empathy, and his choice illustrations ripen in the rays of his sui generis prose. Ambulating amid urban turbulence, with the acid smells of sausage and sewage in the air, the writer in the guise of a flâneur keeps the linkage of high and low in mind at every turn. There is Verlaine's vagabond secretary, Bibi-la-Puree, who made a living after his boss's death selling the poet's purported walking sticks (the legendary clochard receives a mention in Joyce's Ulysses). We get the dope on Aristide Bruant, the comic impresario whose ditties once constituted a publishing goldmine, and whose name and long red scarf are still familiar from Toulouse-Lautrec's immortal posters. There is reverence laced with scandal-sheet relish as our discriminating guide details the often tragic career arcs of Montmartre's dominant chanteuses; the great Frehel, for instance, ended up selling vegetables on the street. Despite his avuncular tone citing hardships, the author does not hide his abhorrence for the major renovation projects ostensibly intended to cure social ills. Conjuring the Paris that predated the wholesale destruction of neighborhoods begun in 1862, he conveys what was lost when a pickpockets' street, and one for hustlers, were no longer joined at the hip. Appearing 11/20 at 6pm at Oblong Books & Music, Rhinebeck.